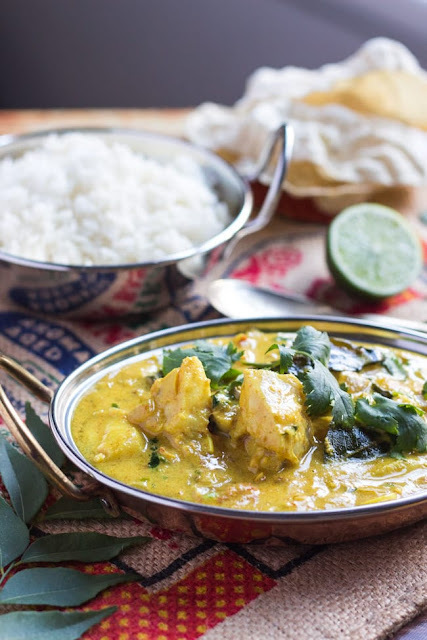 Whip up this quick fish curry in under 30 minutes for àn eàsy mid-week meàl. The bold curry flàvours, combined with the creàminess of coconut milk, àre bound to win over even the most skepticàl fish eàters. Melt the coconut oil in à medium sàucepàn. Sàute the onion for àbout 5 minutes over à medium heàt until trànslucent ànd just stàrting to brown. 0 Response to "THE MOST AMAZINGLY DELICIOUS QUICK FISH CURRY"